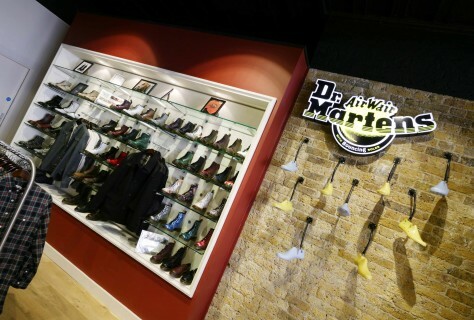 On the back of the launch of the Dr Martens Westfield store we then opened the Dr Martens store concept in the famous Spitalfields Market. Lavished with the same interior design treatment as Westfield inside. The Brief was to change brand perception on the high street by leaving behind its industrial roots for more anarchic values and position the brand to be more fashion orientated. 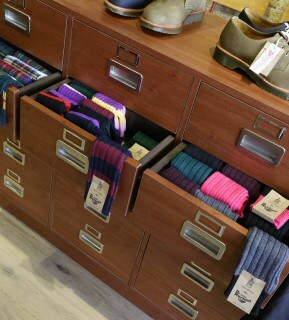 The store concept was born out of the Soho concept store in New York architecturally designed. 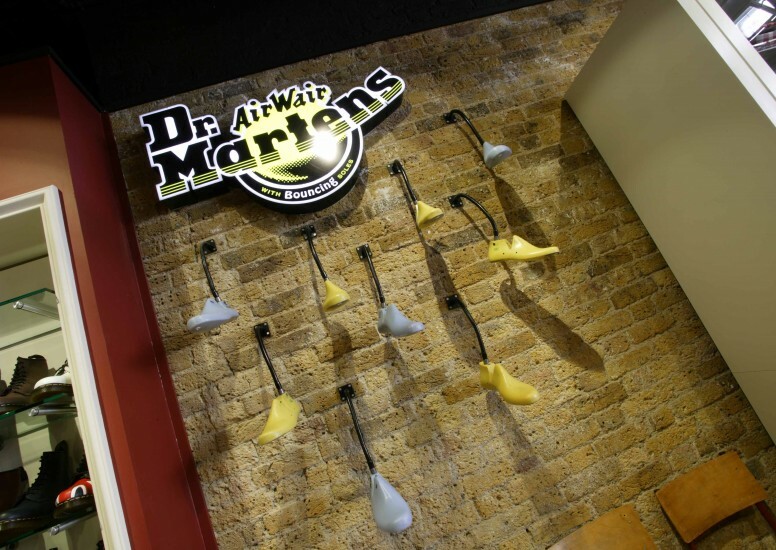 D4R who designed this new concept took the best bits from the Soho store and made the UK stores commercially viable at retail. For the roll out we made sure things were more generic as opposed to being bespoke elements. We considered the customer journey starting with the windows and continuing the theme inside. 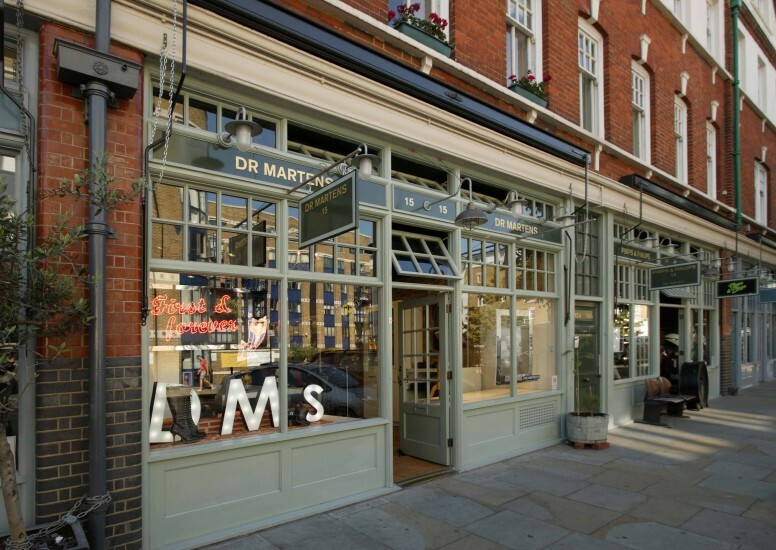 The aim was to create a traditional shoe shop feel with a contemporary modern twist which we reflected in the colour and materials palette. Dark colour palette with mahogany wood reflects the traditional values as well as the ox blood red leather trim, synonymous with the brand. This is interspersed on the contemporary side with iPads, LCD TVs and an ld style juke box which plays from an MP3 player. Exposed bricks and stainless steel gives a nod towards their industrial heritage and roots while the touches bring it into the 21st century.